You are currently browsing the tag archive for the ‘horses as teachers’ tag. 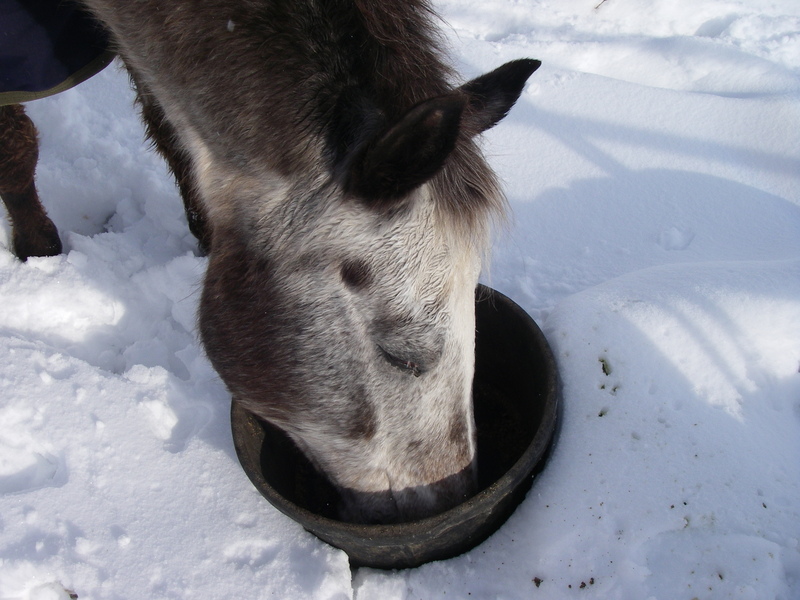 It’s been cold in the late afternoons when I’m out feeding our two old sweeties. The last few days I’ve resorted to wearing one of my winter hats. It prevents the wind from whistling through my ears, not to mention keeps me warm. And it flattens my hair. No matter how good the cut and style (which is quite wonderful thanks to Paul Chet), winter hats are hard on a hairdo. So there are times when I forego the hat, because I have somewhere to go afterward. Perhaps an event where I don’t want to be seen with flat hair. And I don’t have time to jump in the shower and start again. Sounds rather vain when I put it down in words. I mean, seriously, who cares about how my hair looks? Other than my hairdresser, I’m hoping people see me for who I am, not how flat or fluffy my hair is. Deep in my heart of hearts? I have some excellent role models at the pasture. Red is a great example. He actually revels in looking wild and messy. Then again, he’s a mustang. But he’s helping me get past this silly vanity. 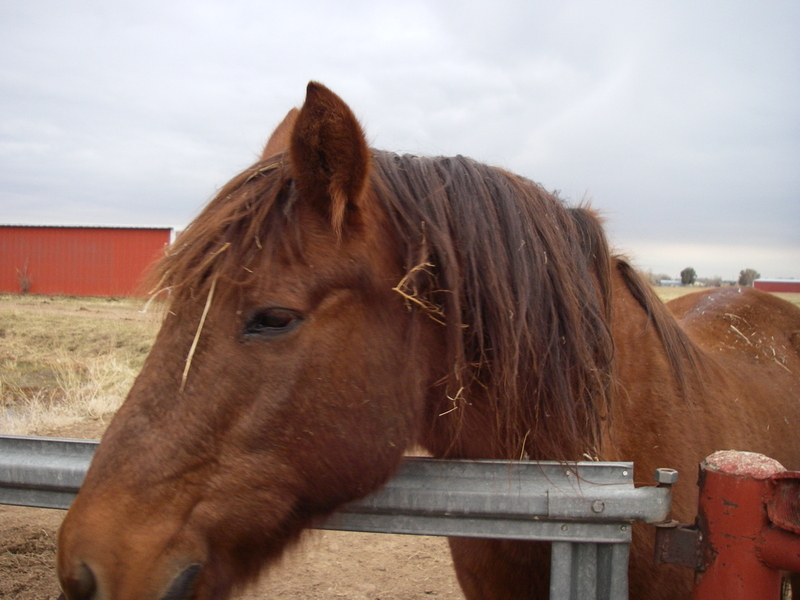 I have the same tender feelings for him, even when he has bits of hay and other debris dangling from his mane. Honestly, how he looks matters very little to me. So why am I nattering on about hat hair? Clearly I’m nowhere near as evolved as my horses. Bud is a happy horse. I envy his easygoing nature. In his youth, he’d get snippy around feeding time, but even that has changed. These days, he knows he’s going to get fed. I suppose if I took his food away, I’d see a temper flare up. But normally, he is one calm, cool and collected horse. He’s a very good balance to Miss Pepper, who continues to be the consummate drama queen. She is, after all, a mare. It comes with the territory for her. Bud makes the best of every situation that comes his way. “So what if it snowed? I can eat my grain anywhere,” he seems to say. He’s my constant reminder to choose to be happy. Even on days when it isn’t so easy. Sixty minutes with my equine therapists is just what the happiness doctor ordered. What or who helps you make that choice to be happy? My coaches waiting for me. These days, having a life coach seems to be a popular thing. If the stories zooming around the Internet are even partially true, having a life coach and being a life coach comprise a win-win experience. Over the years, I’ve had my share of teachers, counselors and therapists, but never an honest-to-goodness life coach. That’s when I realized that I have not one coach, but three. And each has four legs. 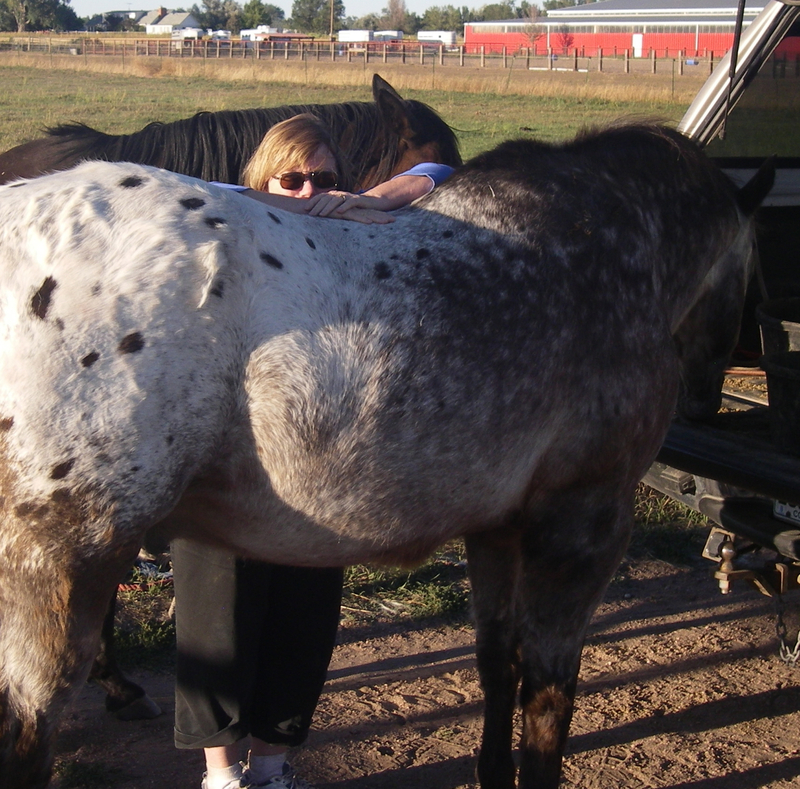 My coaches are our two old horses – Bud and Pepper, and our geriatric, earless white cat – Mija. On a daily basis, these three animals/friends/family/coaches help me learn exactly the lessons I need. Yesterday was just “one of those days.” I was tired because I hadn’t slept well. And I had been running from one task to the next for most of the day. And it was chilly. More like cold. I’m still getting my winter attitude going so I wasn’t enjoying the brisk air and dull grey clouds. When I went out to feed our two old sweeties, I couldn’t find them. This is rare, because they’re usually right at the gate. I grabbed a lead rope and started walking into the pasture. They were in the far corner, happily nibbling at whatever they could find. They didn’t see me. Right there I made a choice to walk back to the car without feeding them. There was a new taped off fence stretching across the pasture and I could picture them blasting through it, causing all kinds of havoc. Wouldn’t it just be better to let them be? I decided yes, it would. Besides, I’d planned to go the mosaic studio and I was running late. One day wouldn’t hurt, I told myself. I went to the studio and worked for a couple of hours. Then I got in my car and started for home. 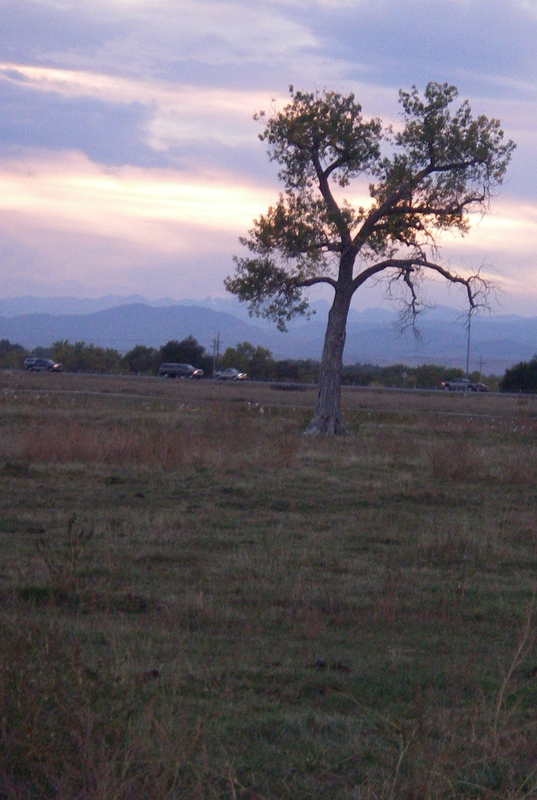 I sighed again, and turned my car toward the pasture. Sure enough, they were waiting. 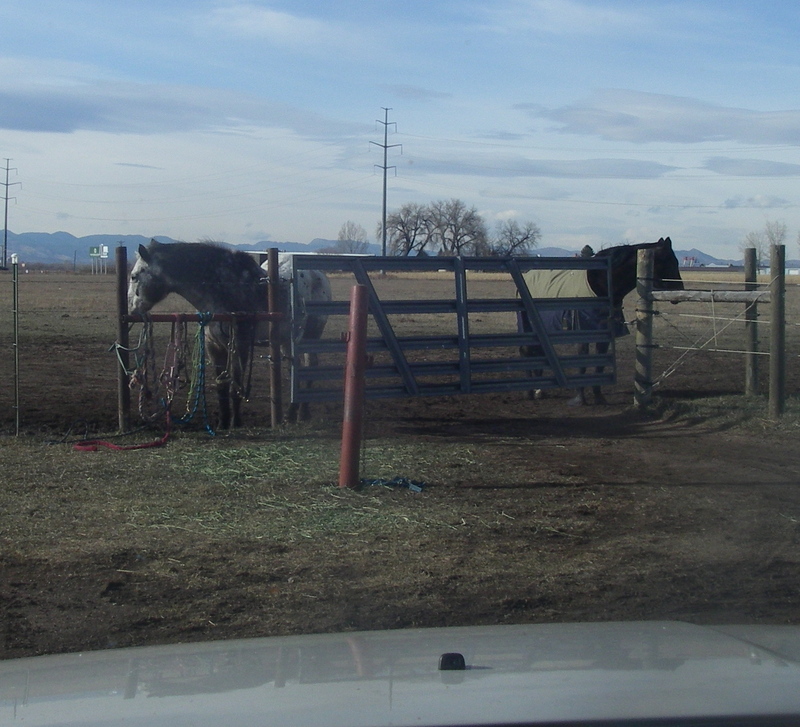 They both trotted out the gate, seemingly happy to see me. Or at least, to see their feed pans. I handed out snacks to the rest of the oldsters. Without uttering one sound, my two equine coaches reminded me about the power of keeping my word, and the absolute magic in following a routine. My reward, in addition to the lovely time with my horses, was a gorgeous watercolor sunset that I would have otherwise missed. And the satisfaction of knowing that I did the right thing. What lessons are your animals helping you learn? I’d love to know. Somewhere in the bajillion self-help books I’ve read, the journals and professional articles I’ve studied, and the wonderful people I’ve worked with, I learned that we teach people how we want to be treated. And now, the horses have taken me to graduate school. Because I’ll tell you this, horses will make you walk your talk. They test and prod and question, much like a wise teacher would. if you don’t believe in yourself, they will keep at you until you do believe. A trainer we once worked with said horses are looking for a hero. 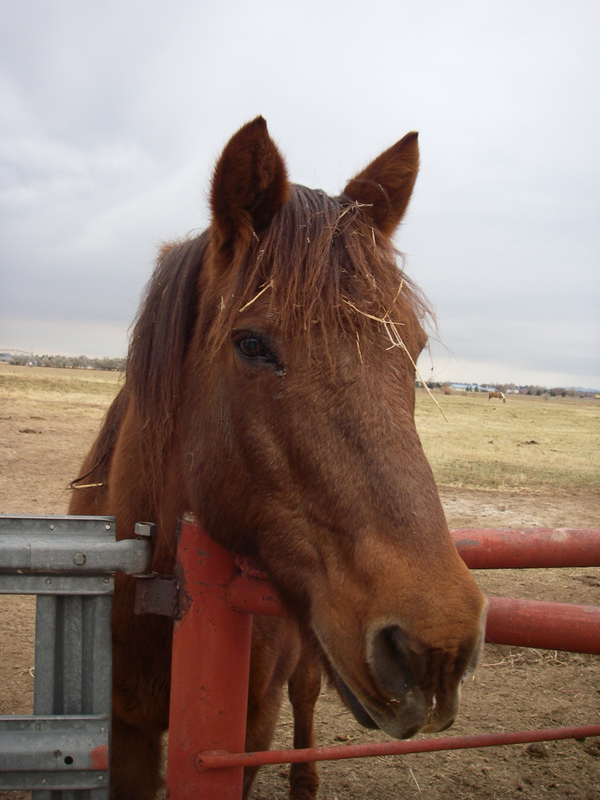 As prey animals, horses want a leader. Recently, Bud reminded me of this. The past few days he has taken it upon himself to finish Pepper’s feed.He will nudge her out of the way and then proceed to devour her grain-whatever is left in the pan. Since they are getting meds in their food, this isn’t such a good plan. So he would push and I would push back. He tried the old “I’m bigger and stronger” routine. If I didn’t know that I couldn’t allow him to get away with muscling me around, I might have fallen for it. He is much bigger than I am. But I held my ground. Yes, he tested me, just to be certain I really meant it. I held firm. And miracle of miracles, he stopped. Oh,he’d shoot me a sidelong glance or two, still testing a bit. But I wouldn’t let him push me out of the way. Finally we came to an agreement. I know why people use horses as therapy animals. They are goooooood teachers. Have you had an experience where you’ve had to hold firm with something or someone? We are deeply into autumn. Several days last week when Rick and I went to feed our two old sweeties in the evening, as we’ve done all summer, it grew dark before we finished. Dark enough to make it hard to see. And it was much cooler. Both of which signal to me it’s time to move into the winter feeding schedule. I’m switching to DFT – Daylight Feeding Time. I know it’s another month until the official end of Daylight Savings Time, but for me, the important time change is now. I’ll head to the pasture somewhere between noon and two – when it’s bright and sunny and warm. It will take a few days for Bud and Pepper to adjust to the time change, but they’re smart enough to figure it out pretty quickly. And I’ll get into the routine as well. 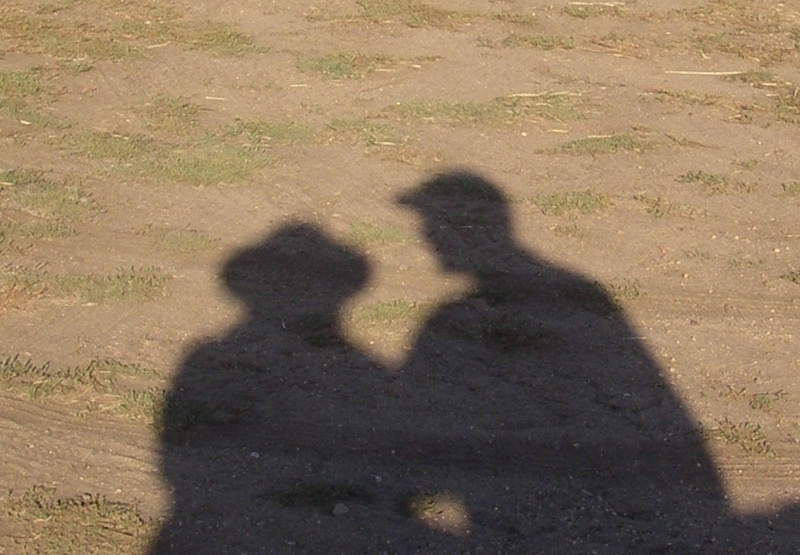 I’ve enjoyed sharing this time with my husband and now I must re-orient myself to going by myself during the week. It’s not a bad thing – only an adjustment. For years I didn’t trust myself to handle the horses alone. I thought I needed Rick because the horses were too much for me. But then an amazing thing happened. 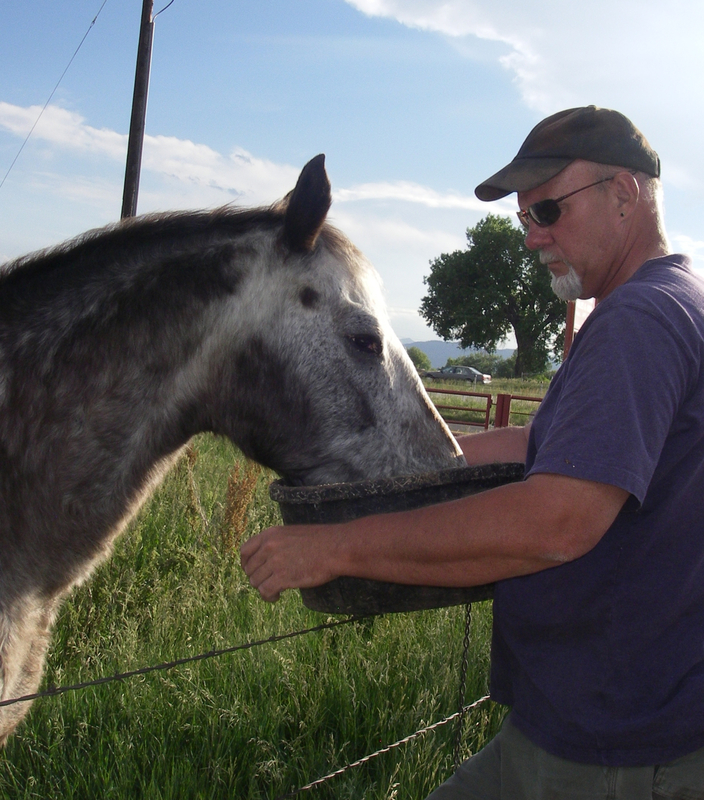 When Rick broke his leg a few years ago, it fell to me to take care of the horses. I had a few challenging times, like the snowy January afternoon when several enterprising horses saw an opening as I was putting our guys back. They staged a mini jailbreak. I was freezing cold, a little scared and plenty mad. But eventually I got everyone back into the pasture. Bud and Pepper were no help, I must say. In hindsight, I realize it’s been an opportunity of a lifetime. I had to step up and take care of our old sweeties, and in the process, I gained confidence that I’ve applied to many areas of my life. I’m no longer as afraid as I was when Pepper and I first became friends. I’ve learned about horses and perhaps more important, I’ve learned about me. It has been intense on-the-job-training, which I think may be the best way to learn most things. What about you? Has life offered you an experience that’s helped you grow in ways you couldn’t even imagine? I’d love to hear about it.